"Hello Baby!" 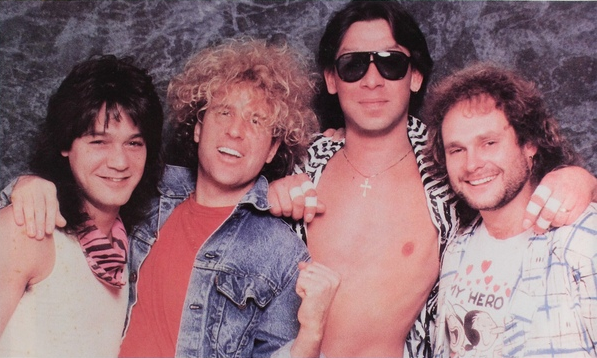 were the first official words uttered by Sammy Hagar as Van Halen's new lead singer. 30 years ago this week, 5150 hit record stores and would climb to the #1 position on the Billboard album chart for 3 weeks. Three singles would crack the top 40 with the most successful being "Why Can't this Be Love" which peaked at #3. Although critics were mainly down on the album, it became the first Van Halen album to top the sales chart, selling over 6 million worldwide to date. Besides Hagar, the band's logo was also altered to reflect change. The album's title is in reference to Eddie Van Halen's studio which is named after the California law enforcement code for a mentally disturbed person. Rediscover "5150" this week via YouTube below or subscribers can listen for free through Amazon Prime music. You can also join me by posting your Top 5 from the album in the comments.